There are more. I know the Austin dealer as well. I'm surprised there is an upscale audio shop in Allentown, PA. as it didn't seem to be a town capable of supporting a business like that. Congrats on the expansion Skip. I have not heard these speakers but now that there is a high end audio/record combo store within a few hours.. I will soon. Congrats! 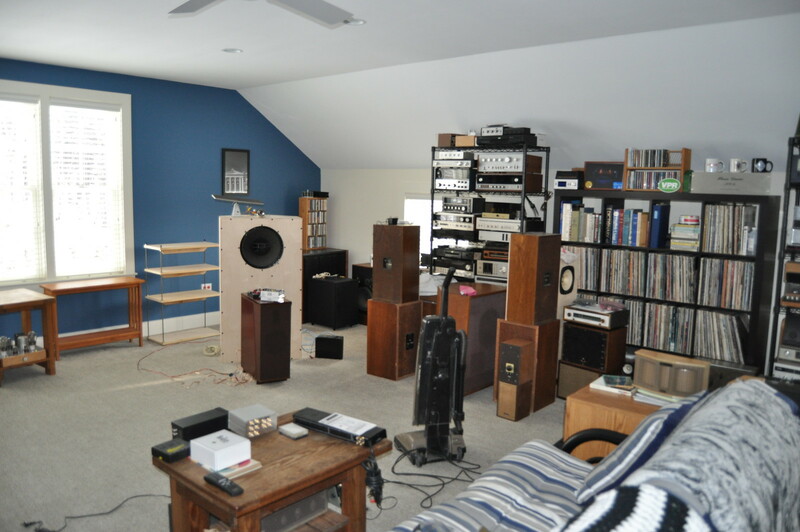 Would like to get my ears on harbeth some day. You'd really be surprised that there's one in Manchvegas as it is known (although Fidelis is actually in Nashua, although it's not much less cheesy than Manchesta). So -- listen -- any of youse mugs decide on a road trip to Fidelis* -- the Hardy Household is only about an hour and a half away. * Talkin' to you, Mr. Russ! (and others, too). We could charter a minibus if y'all want to make an expedition of it. Audition at Fidelis & buy from Skip! I placed my order today. In short order I'll have the P3ESR, 30.2, and Super HL5 Plus with stands for all. Can’t wait to hear them. Let me know when you get them setup. Me thinks you need a pair of the 40.2s also. Yes I do. It will hopefully be the next speaker I get but it will take some time to get it in. Beginning to look like Polkfest at Doc's house. The fall is beautiful up there. You're getting quite the line up, Skip. Congrats, man, here's hoping good things happen! Ok, Doc, you've officially gone off the deep end. Charter a mini bus ? With Russ ?? Sure, if we all want to end up in the same pond as Ted Kennedy did. I'll be on my best behavior, Tony. "When I returned, Mary Jo was gone." I have yet to hear a speaker with upper-mid/treble accuracy, naturalness, and extension that my 7ES-3's had. I have some P3ESRs I use in my office system with some Rega gear. Nice adition to my working environment. I bought the P3ESRs on this site 1.5 yrs ago. I reckon such could be arranged... someone needs to bring a pair of Harbeths. We could probably come up with some swell door prizes, too. Your 10 minutes late for a quick review Skip. My lips are sealed until I understand them and they break in. I will say I don't regret my decision in the least. The set i heard at RMAF i now understand the desire of them. I walked out if the room going WOW. Way different than anything i have heard but my god the sweetest sound. The 30.2 is show ready out of the box. If you like the audiophile music you hear all day at a show these are definitely going to impress. I get why they had a great show at RMAF. They have a lot in their design that lends itself well to a hotel room too. They have a lot in their design that lends itself well to a hotel room too. Few girls I knew in H.S. did too. Waiting to hear your impressions, compared to the Rosso's. I think it will take Skip some time to get that synergy thing working. The guy has like a million amps, cables, DAC's, etc to sample. I am more interested in comparing the Harbteth to the Elac I had or my current Usher bookies. The Rosso does so much right, in spades. The Elac is warm with a touch of airiness. The Ushers let you know they are there and are powerful. 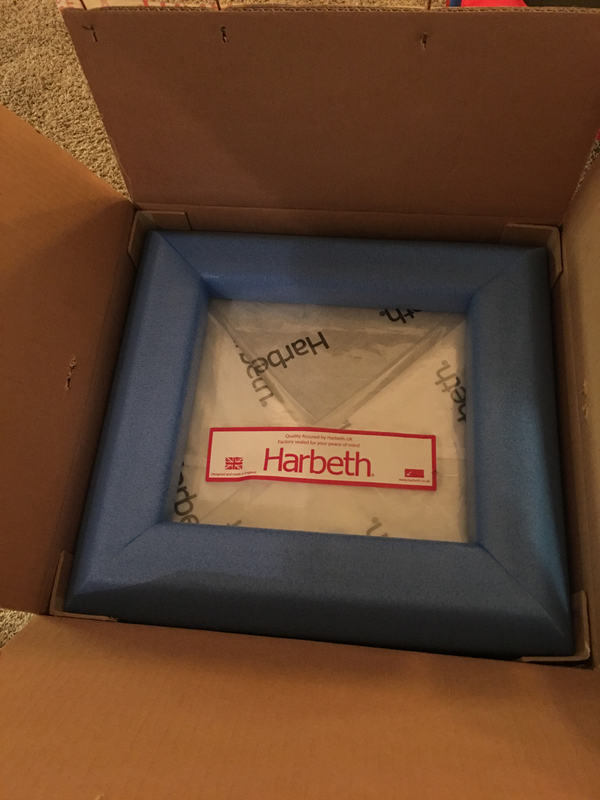 My friend in Okc had Harbeths but didn't pay much attention to them at the time. But. 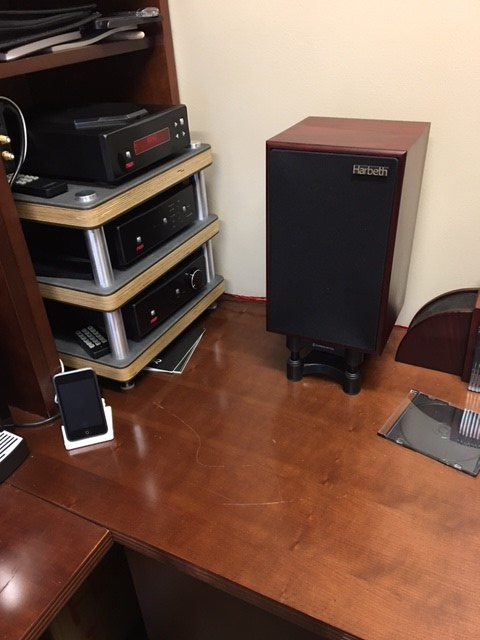 I don't the comparing the Harbeth sound to Rosso is good. Better against Elac or Usher. For my personal preference. I won't speak to all of the speakers yet, but I would like to throw something out there concerning the 30.2. This is a speaker that does nearfield like no other I've experienced. Why? Well, the 30.2 definitely has a recessed soundstage. It appears to reside about 4-6' behind the speakers depending on placement. What is so unique about this? Unlike every other speaker I've heard with this quality, the 30.2 still retains the jump and life to the music. It's almost like that forward sound, but well behind the speakers. Add to the fact that they can disappear in the soundstage, you can close your eyes and feel like you are in a much larger space with much more distance between you and the speaker. This might be one of the most unique monitors on the market and a definite must for those who are limited in space but want that big sound akin to a larger system. All the other Harbeth positives spewed by others are still true. Female jazz is ridiculous and IMO puts Magnepan and others to shame. So far, my best pairing with it has been the MastersounD Dueventi, meaning you don't have to spend a ton to get them to sound good. 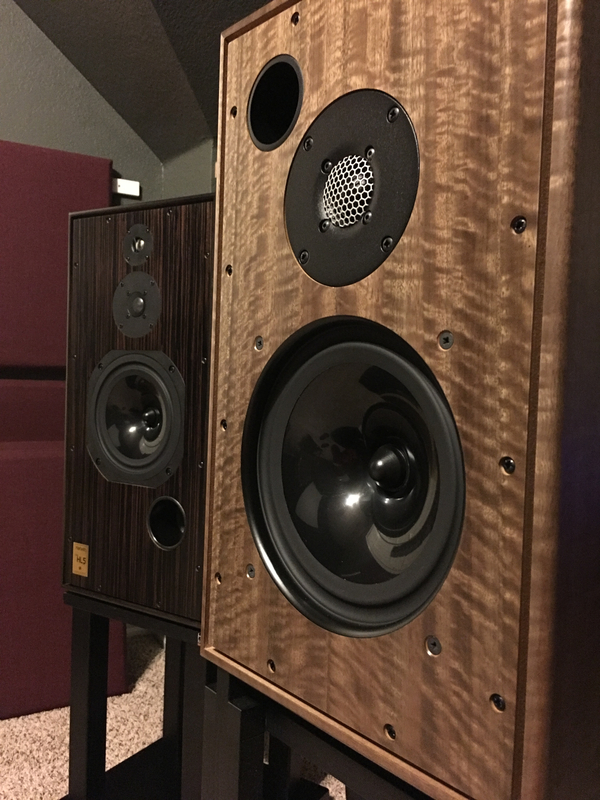 While they are darn near impossible to get to sound bad, there is definitely a magic with the Dueventi that even makes it a better pairing than the larger MastersounD amplifiers. Harbeths' are incredible at midrange/treble blending, and the most realistic balance of tone on vocals I've ever heard. They manage sweet treble, without it ever sounding strained or brittle. They are biased to sounding set-back in the soundstage which can rob some excitement/punch on energetic tracks, but at the same time can make acoustic/classical sound well sorted and never congested with complex arrangements. My observations after owning 7ES-3's for 6 years.